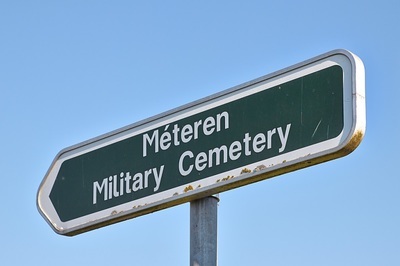 Méteren is a village 17.5 kilometres south-west of Ieper (Belgium) and 3 kilometres west of Bailleul on the main road to Cassel. When heading through the village towards Bailleul from Cassel, turn left along D18 opposite the Mairie. 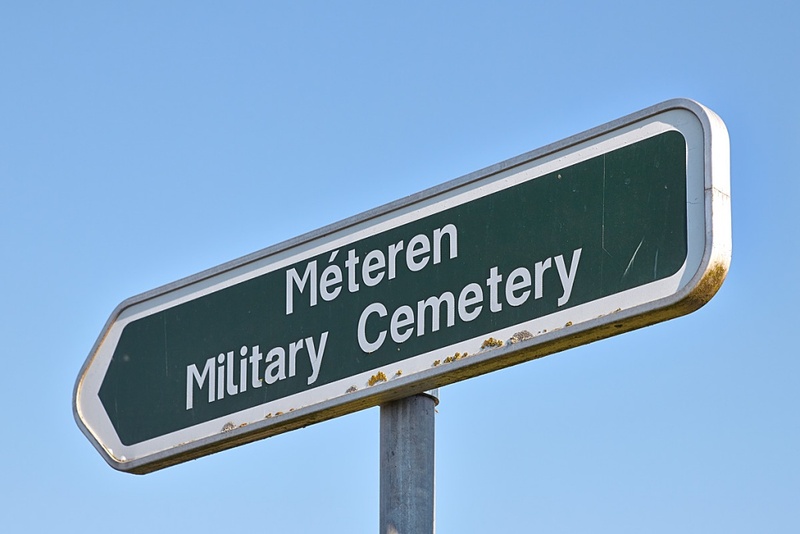 Méteren Military cemetery is 200 metres further up this road on the left hand side and is situated to the rear of the civil cemetery. 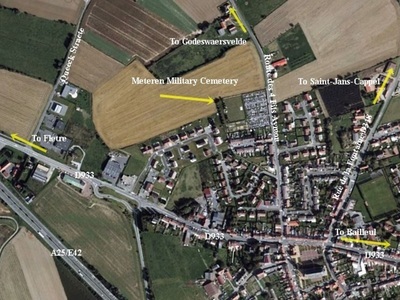 Meteren was occupied by German forces early in October 1914 and on 13 October, their entrenched positions covering the village were captured by the 10th Brigade of the 4th Division. 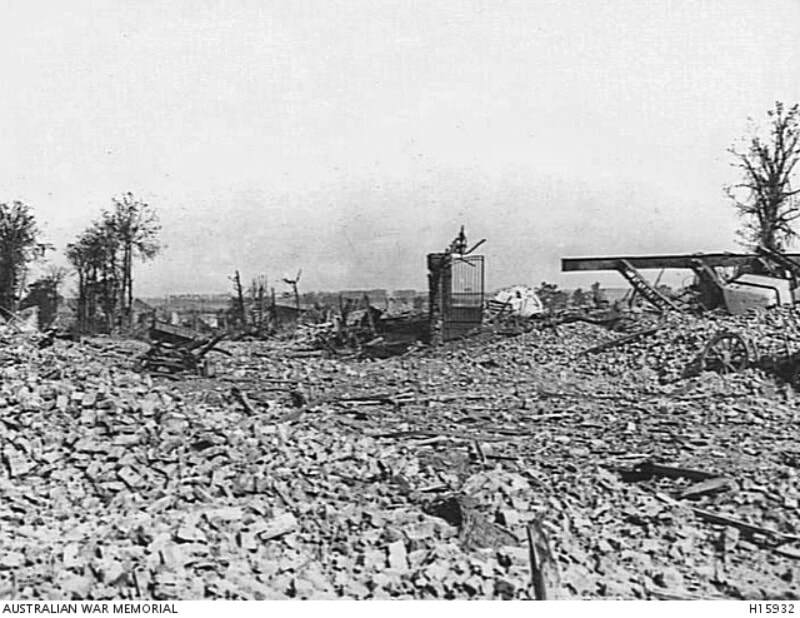 The village then remained in Allied hands until the German offensive of April 1918. 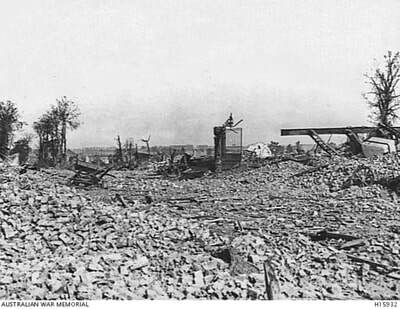 The 33rd Division held it against heavy German attacks on 13 April, but it was lost on the 16th. 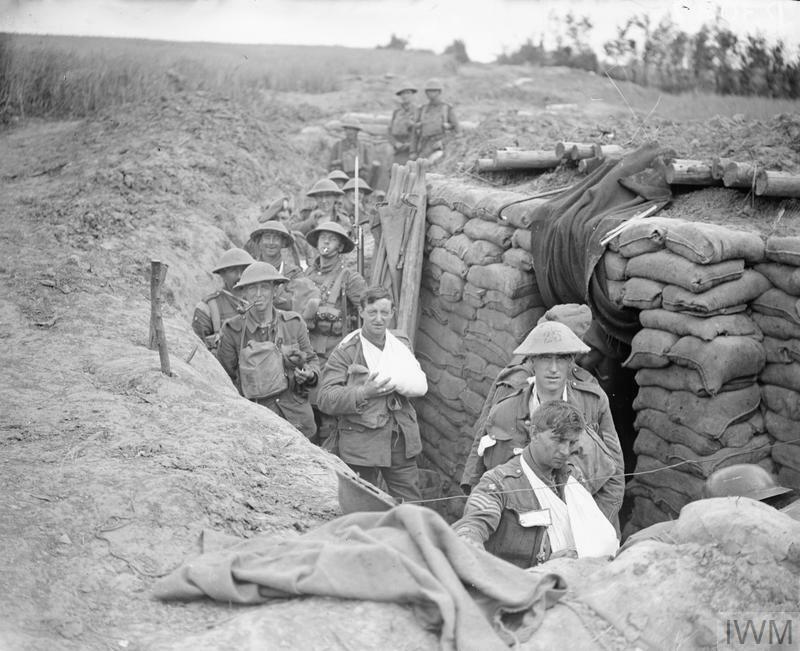 The sector was then taken over by French troops for a time, but on 19 July, the 9th (Scottish) Division (2nd Royal Scots Fusiliers and South African Composite Battalion) recovered the site of the village after a fortnight's bombardment which completely destroyed the houses. 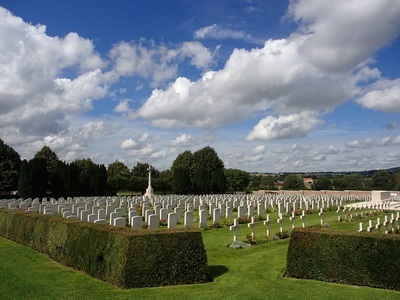 BERTHEN CHURCHYARD, in which 13 soldiers and airmen from the United Kingdom, two soldiers from Canada, and one soldier from Newfoundland were buried (by Field Ambulances or fighting units) in 1916 and 1918. 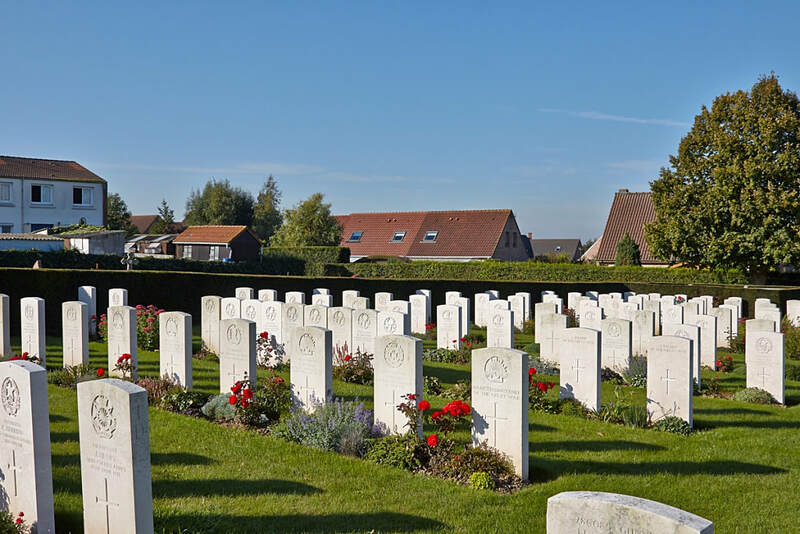 LE ROUKLOSHILLE MILITARY CEMETERY, METEREN, a little South of the hamlet of Le Roukloshille, between Meteren and Godewaersvelde. 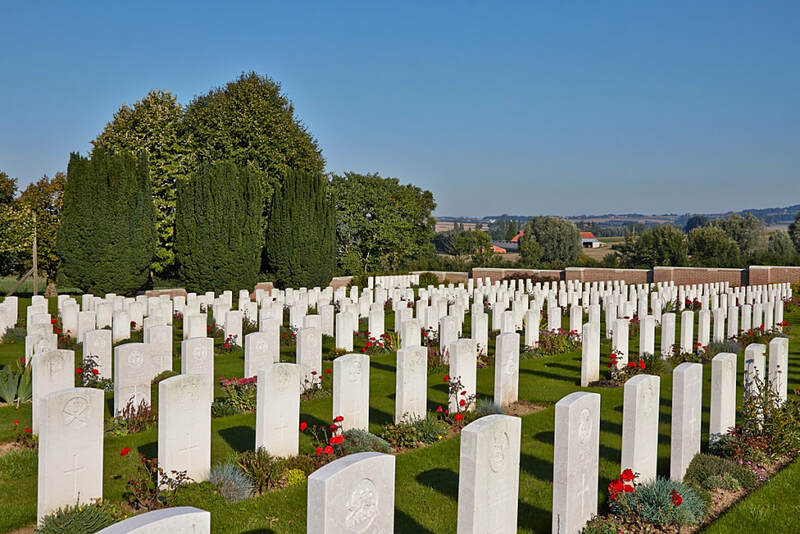 Here, in April-August 1918, 38 soldiers from Australia, 26 soldiers and airmen from the United Kingdom and one French soldier were buried by fighting units. 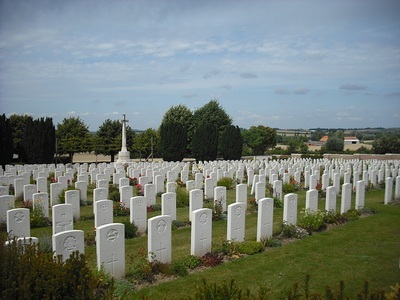 METEREN CHURCHYARD, in which 11 soldiers from the United Kingdom were buried (one in 1914 and the others in 1917) by Field Ambulances or fighting units. 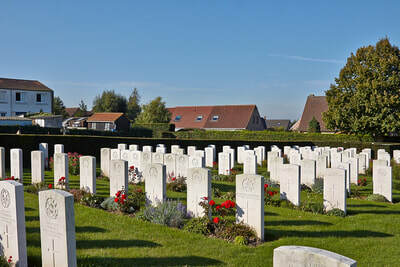 MONT-DES-CATS BRITISH AND INDIAN CEMETERIES, GODEWAERSVELDE, a quarter of a mile South-East of the gates of the Trappist monastery. 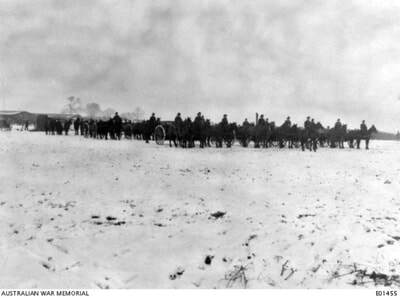 The hill was captured on the 12th October 1914, by the 4th Hussars, the 5th and 16th Lancers and "D" Battery, R.H.A. 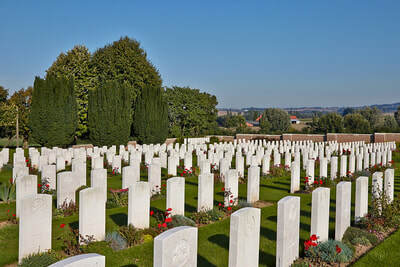 Two small graveyards were made in April 1915, one containing the graves of nine soldiers from the United Kingdom and two from Canada, and the other those of 16 soldiers from India. 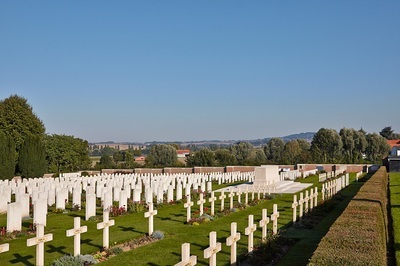 Six other British soldiers, buried within the Monastery, have also been reinterred in Meteren Military Cemetery. 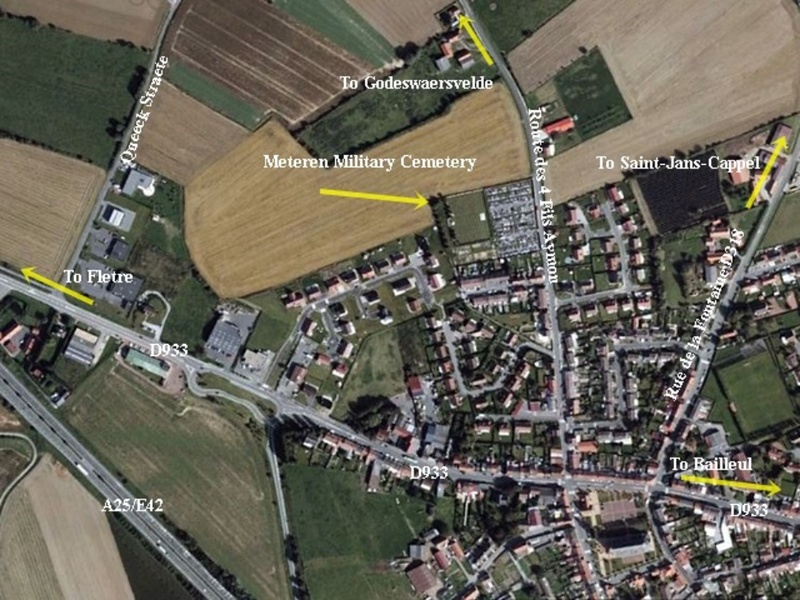 The German and some of the French graves have since been removed to other cemeteries. Meteren Military Cemetery now contains 768 Commonwealth burials and commemorations of the First World War. 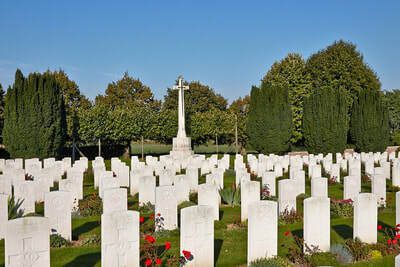 180 of the burials are unidentified but there are special memorials to five casualties believed to be buried among them. 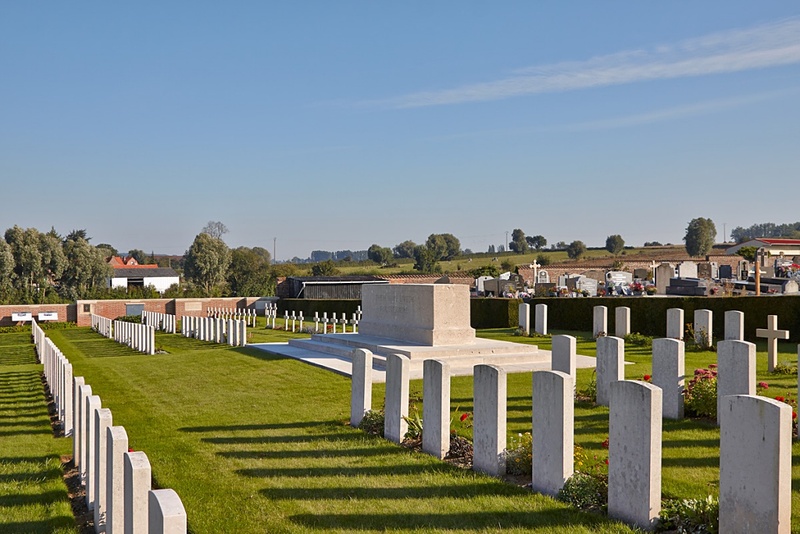 There are also special memorials to one soldier buried in Meteren Churchyard, and one Indian soldier buried in Mont-des-Cats Indian Cemetery, whose graves were destroyed in later fighting. There are also 69 French burials here. 61230 Private Thomas W. Miatt, 1st Bn. The Queen's (Royal West Surrey Regiment), 14th April 1918, aged 19. 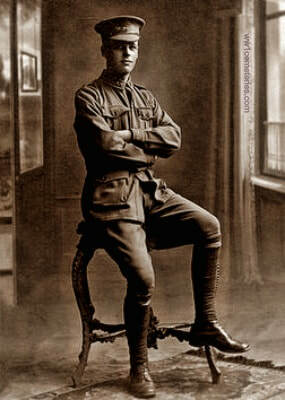 Son of David Black Archibald and Emma Archibald, of 16, Tudor St., Victoria Park, Western Australia. Native of Adelaide, South Australia. "This was at Meteren, during the first attack and we had to withdraw owing to very heavy M. G. (Machine Gun) fire from strongly fortified farm houses. 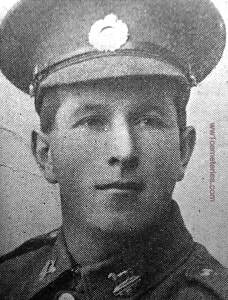 i did not actually see him killed but his mate, F. Fry of B Coy., told me he was hit by a M. G. bullet in the forehead and died instantly at 1.30 during the full moon. We had gone over to raid the farm houses. 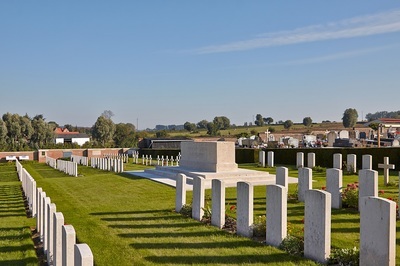 He was brought in by Stretcher Bearers Jack Edwards and Tom Lower but was then dead." 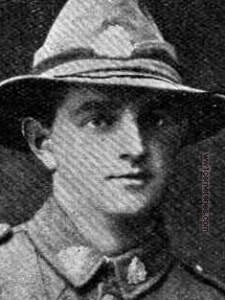 16th April 1918, aged 20. 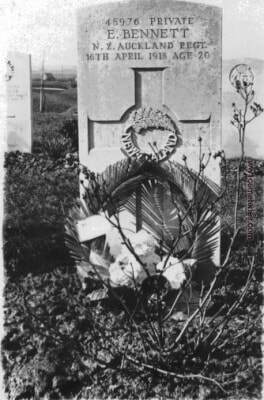 Son of E. W. C. N. Bennett, of Taradale, Napier, New Zealand. 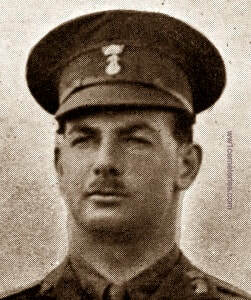 24th April 1918, aged 27. Son of George and Mary Eunice Bridson. Native of Beaudesert, Queensland. ​His headstone bears the inscription; "The Lord Hath Given The Lord Hath Taken Away." 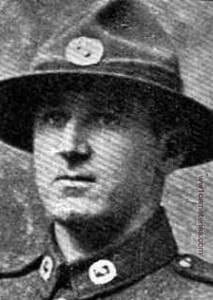 25th April 1918, aged 27. Son of George and Eugenie Brightwell, of Maroomba, Chowey, Queensland. Native of Brisbane, Queensland. His headstone bears the inscription; "He Answered The Call, A Son Father And Mother Were Proud Of." From Deligbo, Qld. 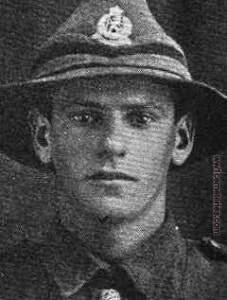 A carpenter prior to enlistment, Pte Brightwell embarked with the 21st Reinforcements from Brisbane on HMAT Boonah on 21st October 1916. He received a gun shot wound to the face on 7th May 1917, returning to his battalion on 22nd June 1917 after treatment at Le Treport. 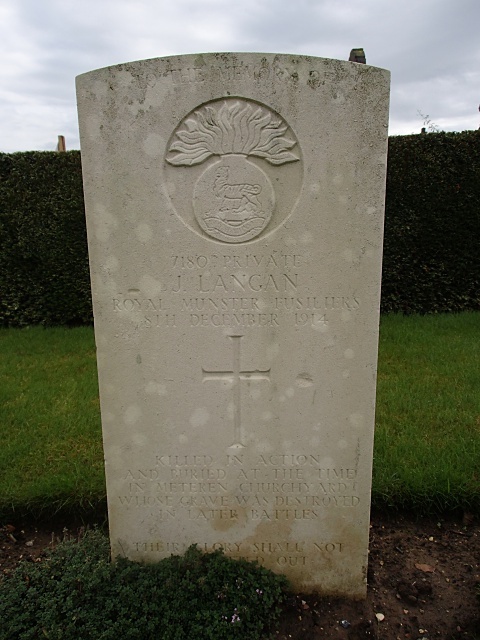 He was killed in action on 25th April 1918. 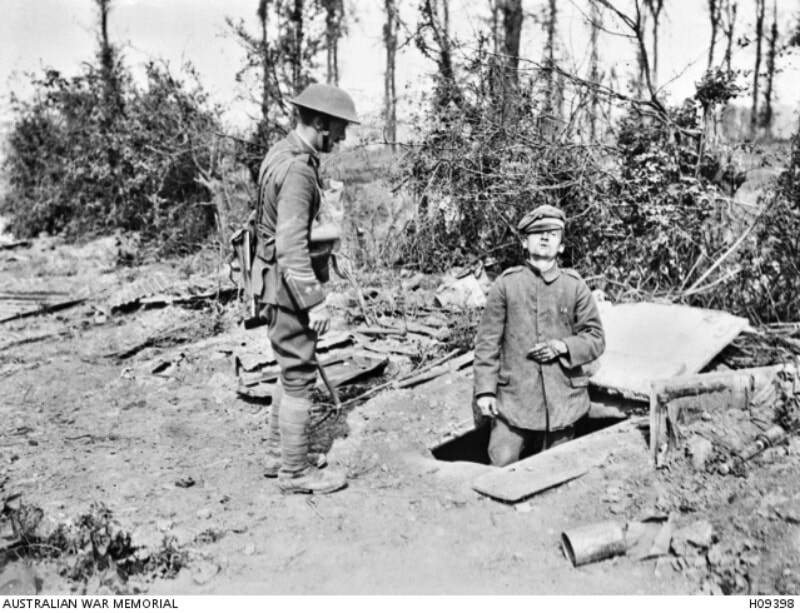 "I saw Brightwell die in our trenches close to Meteren on April 25/18. He was just going to fire at a German when a ricochet bullet hit the ground in front of him and he just rolled over, dead. The bullet does not seem to have struck him as there was no mark on his body...It is supposed he died of heart failure." 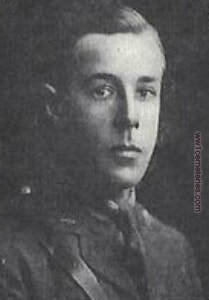 Harry Ronald Collier, M. C.
17th April 1918, aged 26. Son of Alfred and Mattie Collier, of Nicholson St., Healesville, Victoria, Australia. Native of Melbourne, Victoria. 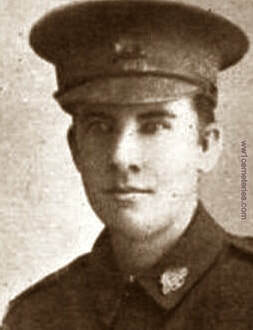 15th April 1918, aged 26. Son of the Rev. J. F. and Mrs. Flowers, of Trent Farm, Nokomis, Saskatchewan. Native of Bonby, Lincs, England. 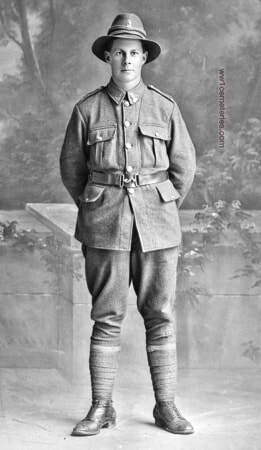 Served as Private with 2nd Canadian Mounted Rifles. 1914-1917. His headstone bears the inscription; "In Hope." 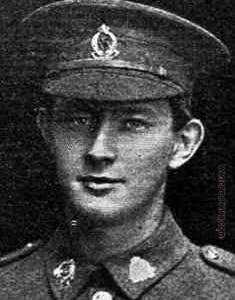 27th May 1918, aged 24. Son of Emanuel and Mary Jane Fowler, of Church St., Carlingford, New South Wales. Native of Parkes, New South Wales. His headstone bears the inscription; "Till We Meet." From Parramatta, NSW. 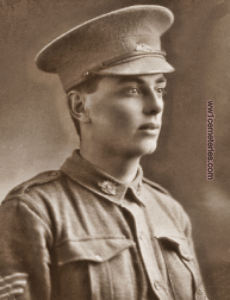 A farmer prior to enlisting, he embarked from Sydney aboard HMAT Benalla (A24) on 9 November 1916. He was killed in action on 27 May 1918 during operations near Meteren, France, aged 24. Meteren, France. c. 1917. 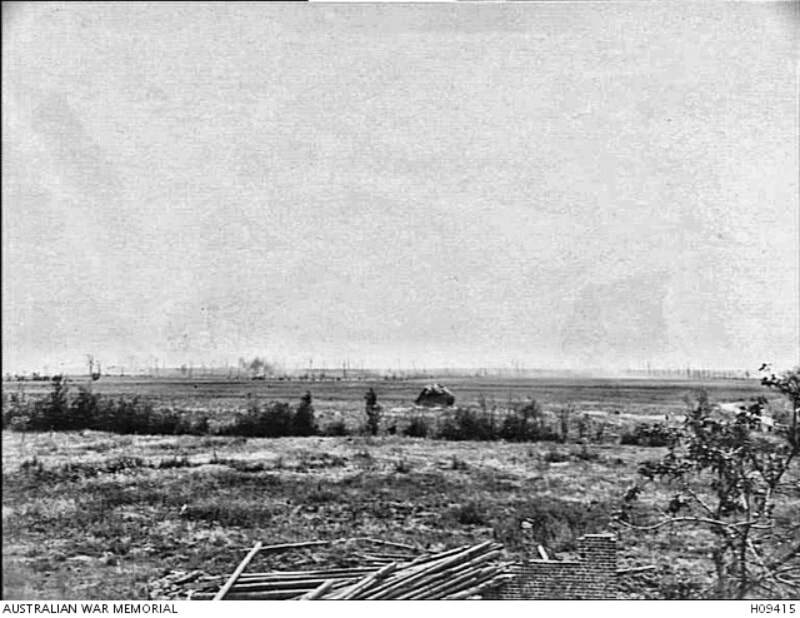 The battlefield on which the Australian, British and German Armies fought. 12th July 1918, aged 33. Husband of Mary Gillespie, of 60, Watson St., Aberdeen. 3rd Bn. Canterbury Regiment, N.Z.E.F. Son of David and Delilah Hallam. Meteren, France. c. 1918. 11th Bn. 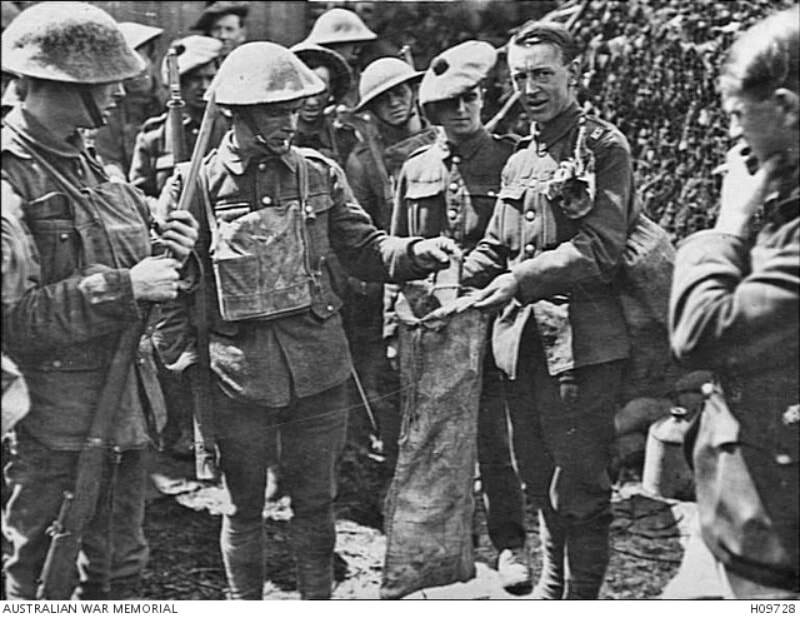 Royal Scots about to embark on a daylight raid removing their personal belongings, pay books and identity discs. John Mott Marion, M. M.
24th April 1918, aged 25. Son of Charles and Sarah Marion, of Millicent, South Australia. ​His headstone beards the inscription; "In Memory Of The Dearly Loved Son Of Mrs. S. Marion Millicent, S.A."
"I knew him from being in the battalion. 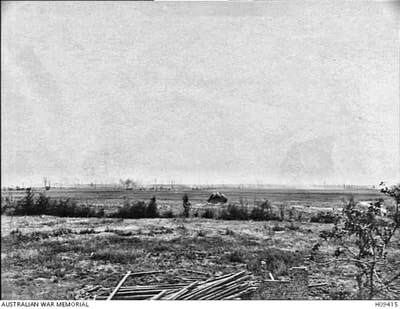 He was an oldish man and tall and particularly dark with black hair and was a corporal and M. M. (Military Medal).On April 24th we were on the left of Meteren, about 1.30 in the morning, we attacked and got about 300-400 yards. When we got there we had to retire and Marion went out to find some men who were missing and never returned. After daylight the Germans were over the ground stripping the dead of their equipment, so it is quite impossible to say whether he is dead or a prisoner. It was never possible to search the ground properly as it was under constant fire." 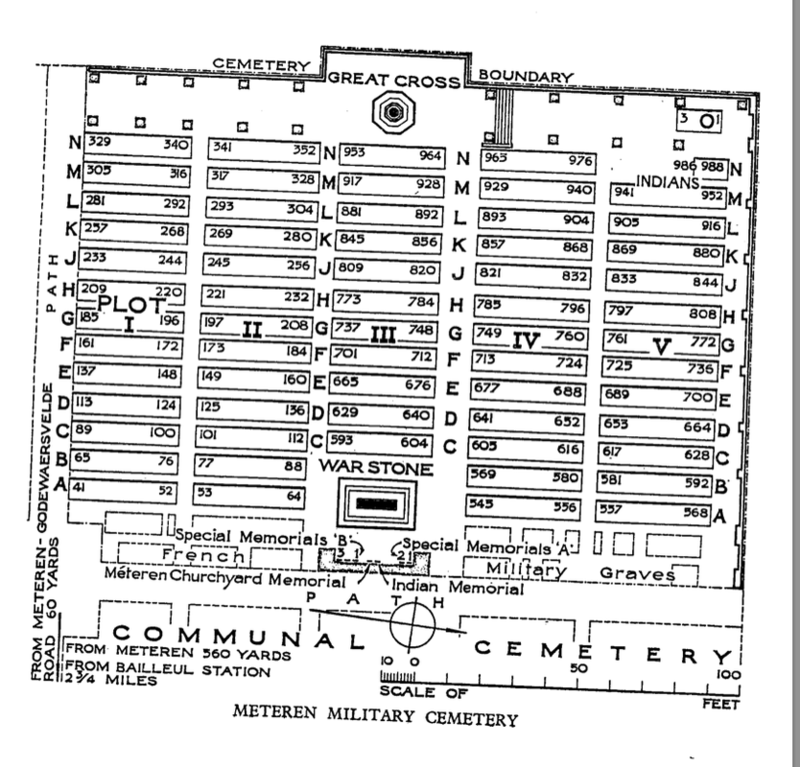 "I knew Marion, he was buried in the 3rd Brigade H. Q. 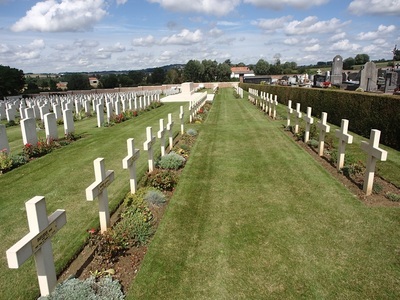 Cemetery about 200 yards from Fletre; the third grave from Sergeant Robinson. I took the disc off his neck and knew it to be the man known as 'Jackie Marion' of D Coy." 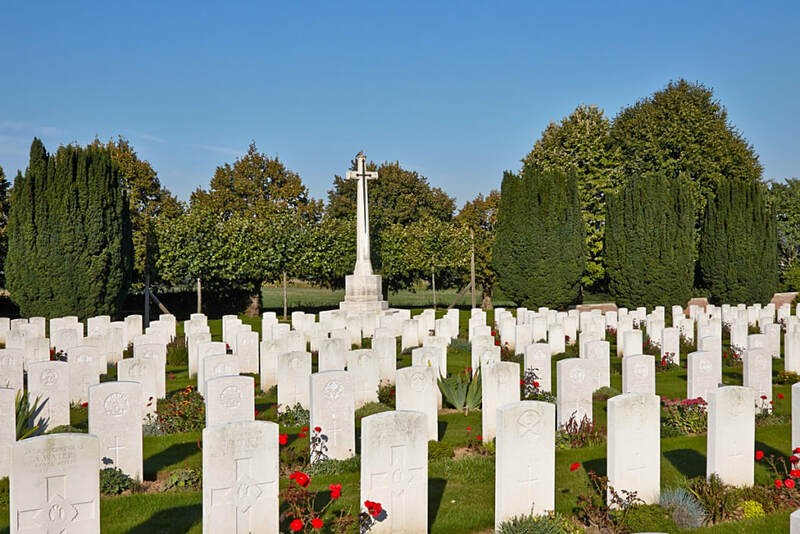 Sergeant Francis Robinson is buried in the same cemetery as Jack Marion but no longer 3 graves away as Private Rice said at the time. He is now buried in Plot V. F. 735. 13th October 1914, aged 25. Son of the late Lt. Col. William Frederick Samuels, A.M.S. and Althea Samuels, of Kingstown, Co. Dublin. Son of Thomas and Edith Smeed. 28th June 1918, aged 39. Son of Malcolm Smith, of Sheildenish, Lochs; husband of Colina Smith, of 27, Balallan, Lochs, Stornaway. 2nd New Zealand Entrenching Battalion, N.Z.E.F. 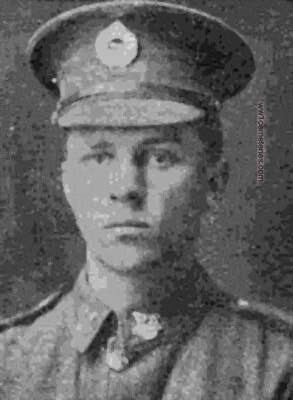 13th April 1918, aged 23. Son of Nathaniel and Elizabeth Symons, of England. Born in New Zealand. 3rd Bn. Otago Regiment, N.Z.E.F. 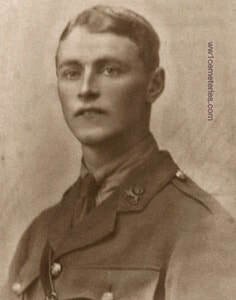 14th April 1918, aged 22. Son of Simon and Helen Taylor, of Kia Ora, Oamaru, New Zealand. 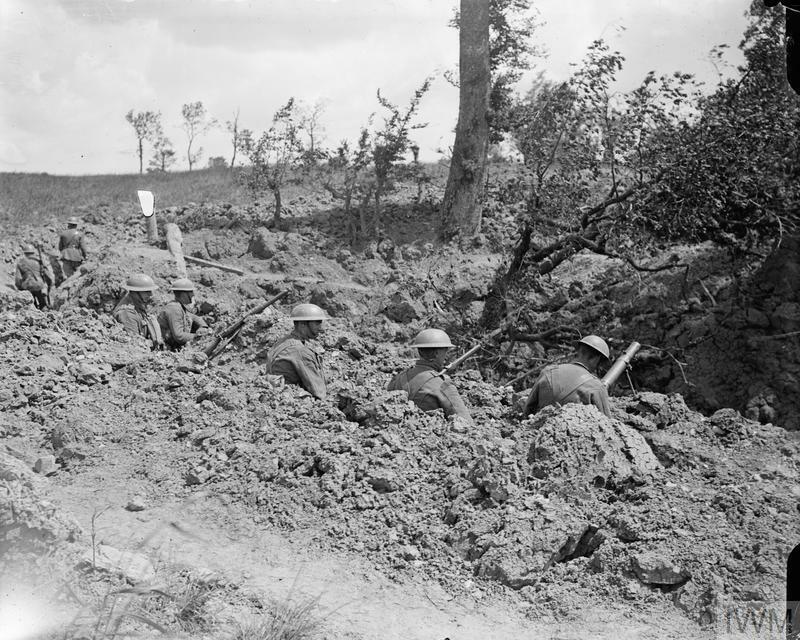 ​2nd New Zealand Entrenching Battalion, N.Z.E.F. Original grave of 4 soldiers of the Seaforth Highlanders at Meteren. 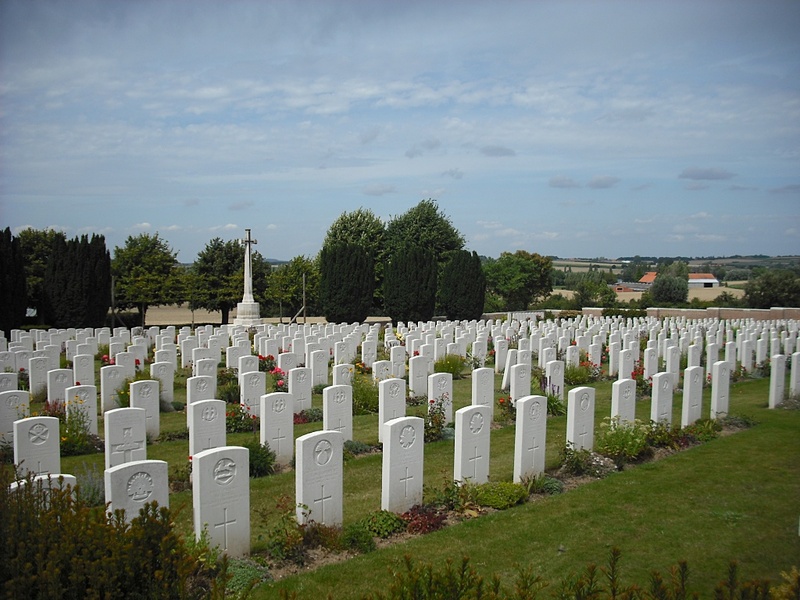 These soldiers, along with another 5 members of the same regiment are now buried in a collective grave (163-170) at Meteren Military Cemetery. Within the grave are: Pte. 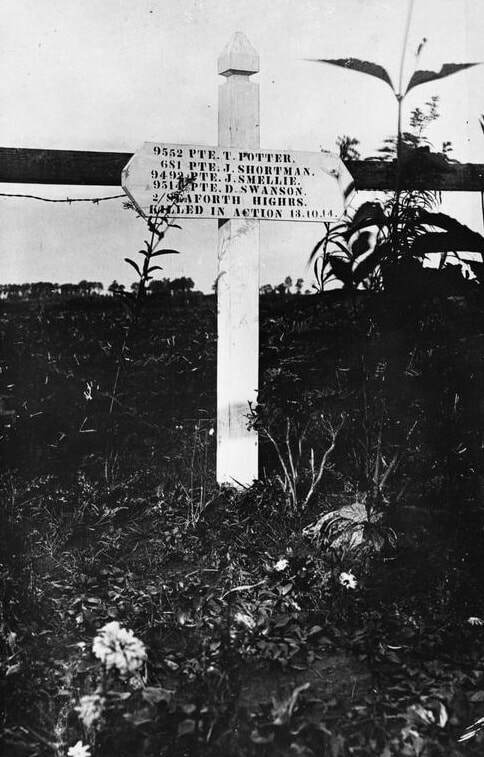 T. Potter, Pte. J. Alexander, Private I. J. Shortman, Sgt. 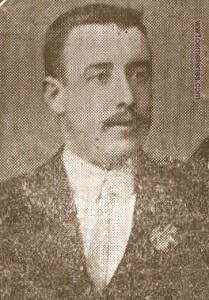 J. Murray, Pte. 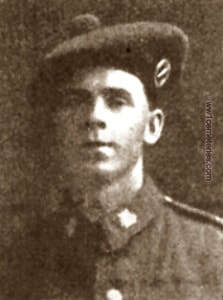 W. Chalmers, Pte. 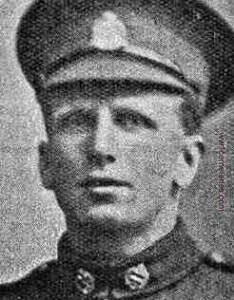 J. Smellie, Pte. 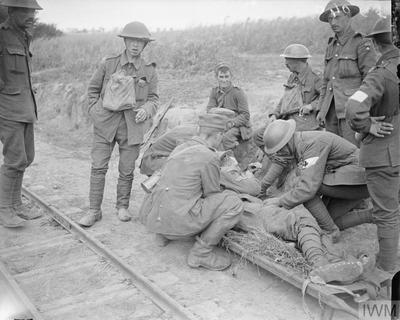 R. Hastie, Pte. D. Swanson and Pte. W. Innes. 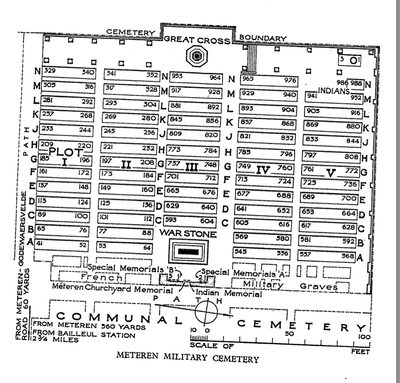 There are actually 9 burials in this grave, one (T. Potter) is listed on the casualty return as 169A.